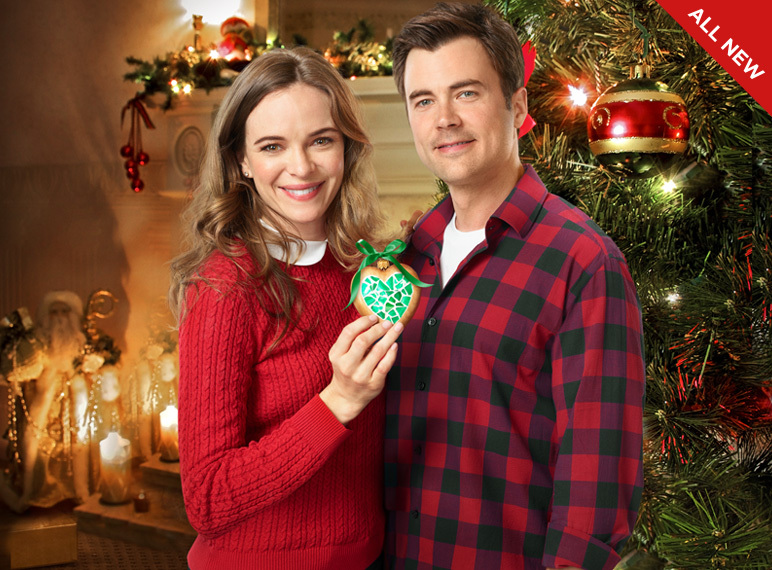 The Hallmark Channel movie Christmas Joy will debut on November 3 at 8 PM. Joy Holbrook (Kay Panabaker) is a keenly intelligent market researcher with an eye on her company’s top account and garnering a sweet promotion just in time for the holidays. Just as Joy is capturing the attention of the account’s CEO, she receives a call from her Aunt Ruby’s best friend back home in Crystal Falls, NC. Ruby has broken her ankle and needs surgery. Though the timing couldn’t be worse, Joy immediately comes to her Aunt’s bedside only to be reunited with former crush, now hospital administrator, Ben Andrews (Matt Long), son of Ruby’s best friend Shirley. Joy also must navigate Ruby’s stubborn determination to be in control of everything, including the town’s legendary annual Cookie Crawl, a walking home tour where owners display holiday decorations and treat each other to Christmas cookies all while vying to win the prized Golden Wreath Award. To keep Ruby focused on healing, Joy volunteers to take her aunt’s place as chair of the Cookie Crawl much to the amusement of Ben who knows Joy has no idea of the Herculean task before her. Though Joy initially refuses Ben’s attempts to “co-captain,” she begins to soften and let him in, all the while remembering that there truly is no place like home for the holidays. Here is a trailer for Christmas Joy. Please keep in mind that this movie will not air tonight. It will air on November 3. I always post my recommendations a few days ahead of time to alert readers that something fun will be airing soon. Enjoy the movie this weekend!